It’s time to break out those pastel dresses, tea hats and bow ties because Easter is here! This year is the perfect time to start a new family tradition, and we have some creative ideas for you to consider. On Easter Eve have your kids write a letter to the Easter Bunny. They can talk about the exciting things happening at school, new friends they have made, or any fun adventures that they have been on. The next morning the Easter Bunny can leave a small note in return. It is a fun way to get the kids involved while also creating a fun memory. Instead of lying eggs out in the yard for the kids to walk up to and find – create a fun and interactive map or instructions list. It can be as simple as “You can find me where we check the mail.” This will let the kids have a great time trying to figure out where the eggs are hidden while also learning how to follow instructions. It is time to put a twist on the way you dye your Easter eggs this year! Volcano Easter Eggs is a great way to take your egg dying to a new level. If you thought a baking soda erupting volcano was fun, wait until you try this! Click here to learn what materials you need to create your own Volcano Easter Eggs. There is no better way for a family to bond than over a home cooked meal. 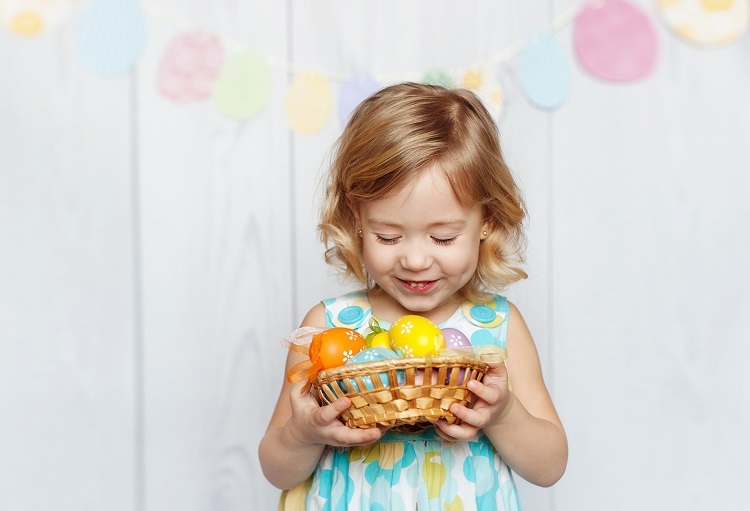 Plan out a family lunch for Easter and have the kids help! This is a great opportunity to teach them about cooking and being in the kitchen. Let them mash some potatoes, stir some batter or frost some cupcakes. Place of Hope is always looking for volunteers to bring in home cooked meals to our Family Cottages. It is the simplest yet most impactful gesture. To learn more on how to get involved visit www.placeofhope.com/volunteer.